Today, I was fortunate enough to transplant some yarrow into my flower bed. 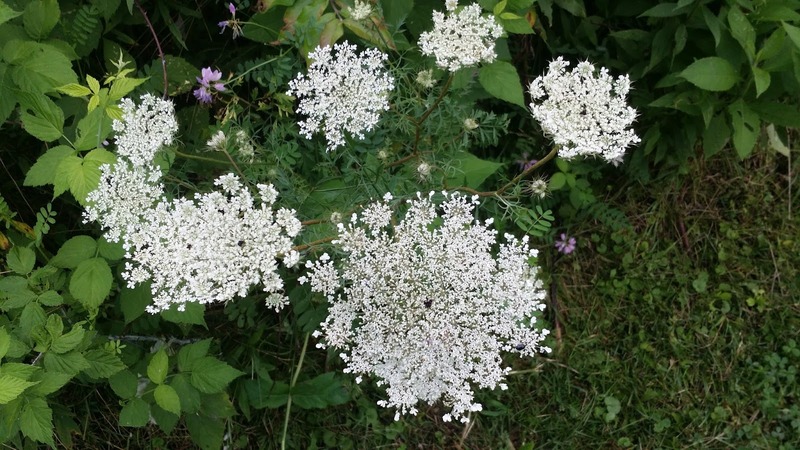 Yarrow has many medicinal benefits including healing wounds and anti-inflammatory properties. Bryan would be super excited to stock his medicine bag with this handy little plant! 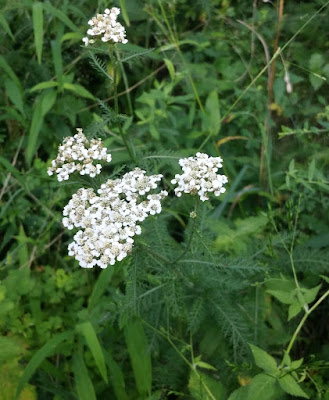 A yarrow plant in full bloom. It is not only beautiful but has a lovely aroma! 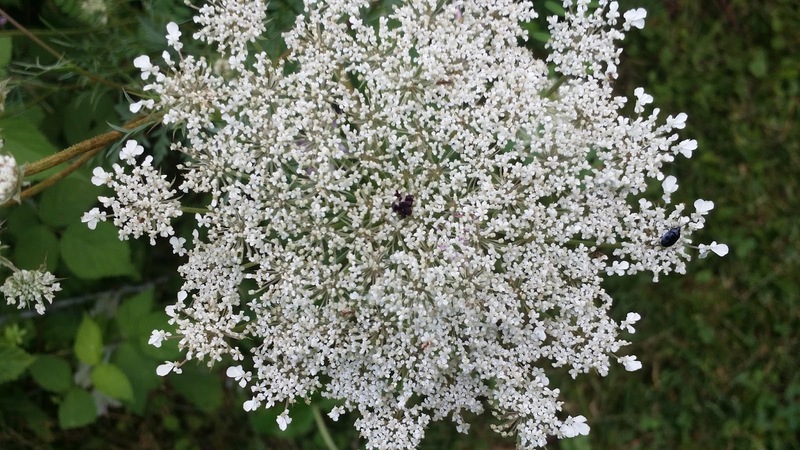 You probably see this flower all the time on the side of the road and never gave it another thought, but did you know that Queen Anne's Lace is an edible and medicinal wild flower related to carrots? If you pull up the plant and scratch the root, it actually smells like carrots! You can also use the leaves to ward off infections. Bryan will be looking forward to the leaves in the summer, and I can already smell the delicious aroma of the stew Steve could make with some of the roots, wild chives, and fresh deer or rabbit! Queen Anne's Lace is known for the small, red or purple spot in the center of the flower. The flower will grow in bunches. 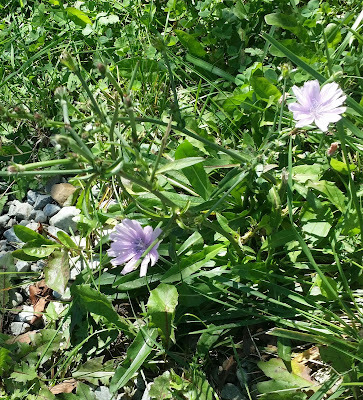 You will see Queen Anne's Lace and Chicory growing together everywhere in the summer! 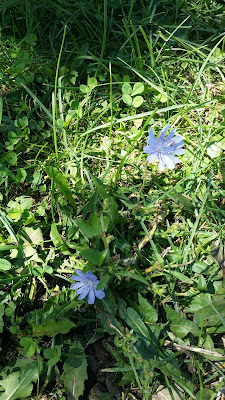 I was lucky enough to find purple and blue chicory flowers growing side by side. These are both young plants. 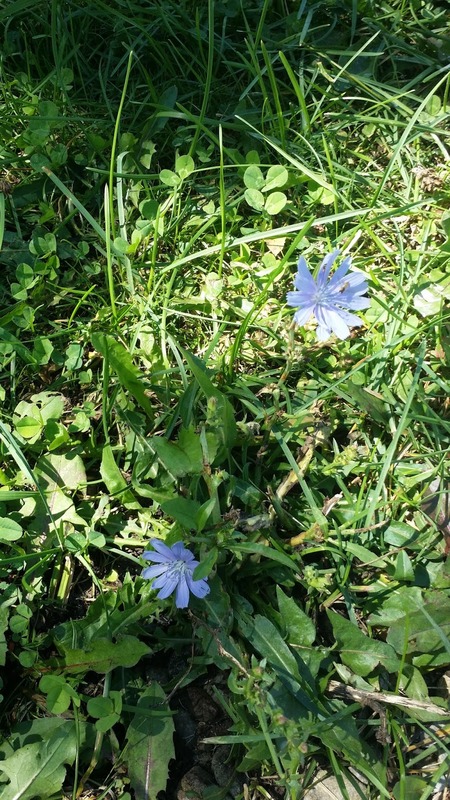 Chicory can grow to be several feet tall in the wild. I hope you enjoyed a couple of my finds :) I had already posted these on my facebook page a while back, but I'm trying to get everything moved over to here. I have another post of just springtime plants while I will have to post soon as well.